This is a sponsored conversation written by me on behalf of Bic. The opinions and text are all mine. Handwriting is always a struggle in my house of boys as they are not kids that just want to sit down and doodle. Top that with one of my boys who started kindergarten with a severe fine motor skills delay (which is now caught up thanks to a lot of hard work!) and you’ve got quite a mix! But my kids aren’t the only ones – over the last decade I’ve noticed too many students with the lack of desire to have a readable penmanship. Handwriting “practice” can be rather laborious but there are SO many fun and creative activities you can do with them – they won’t even realize they are really practicing their handwriting skills! One FUN and simple way to get your kids excited about writing is to let THEM pick out their own pens, pencils and notebooks! If they choose their own writing implements they’ll want to use them! 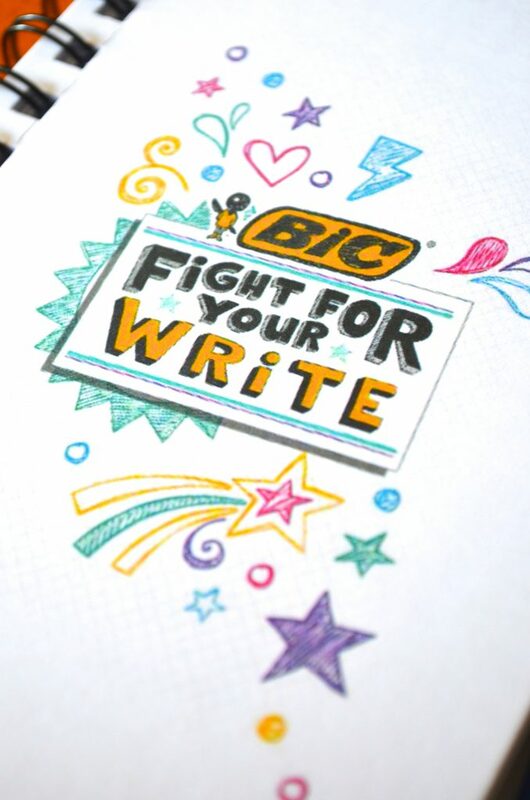 I’ve partnered with BIC to share about their Fight for Your Write pledge to SAVE OUR KIDS HANDWRITING. 1. Enlist the help of a PEN PAL! Have your kids exchange letters with a friend in another state or country. Not only will they be learning more about their new friend they’ll also be scouring your mailbox each day in hopes of a new letter to reply to! 3. Decode it! My boys may not be enthusiastic about practicing handwriting but they’re more than willing to create secret messages either by painting with “invisible” ink or by creating their own coded messages (A=1, B=2, etc.). 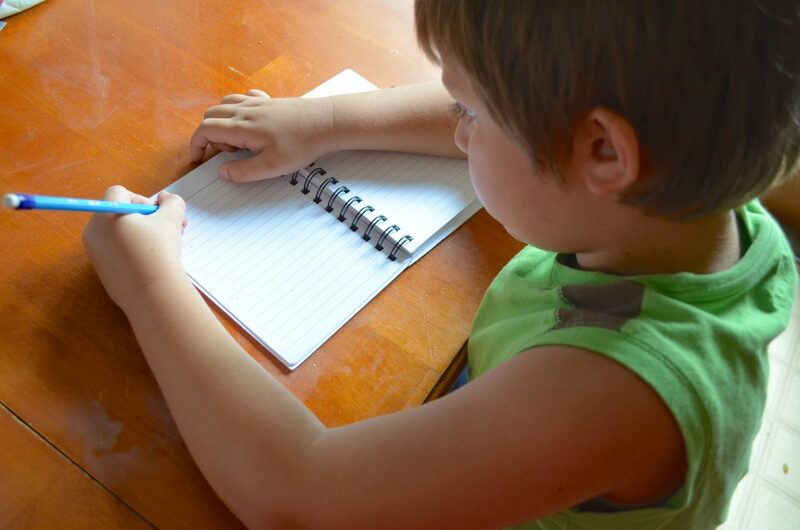 Come up with creative activities to get your kids glued to writing! Look for blank comic book templates and let them draw and write their own comic story! 4. Mazes, Word Games, & Connect the Dots – Although these activities may not be forming letters they ARE working on fine motor skills and that’s almost just as good! Let your kids circle objects in an I Spy game. Maybe they will even want to create their own maze to finish! Word search games are great for older kids as well as crossword puzzles. 5. Design your own Fashion Notebooks! 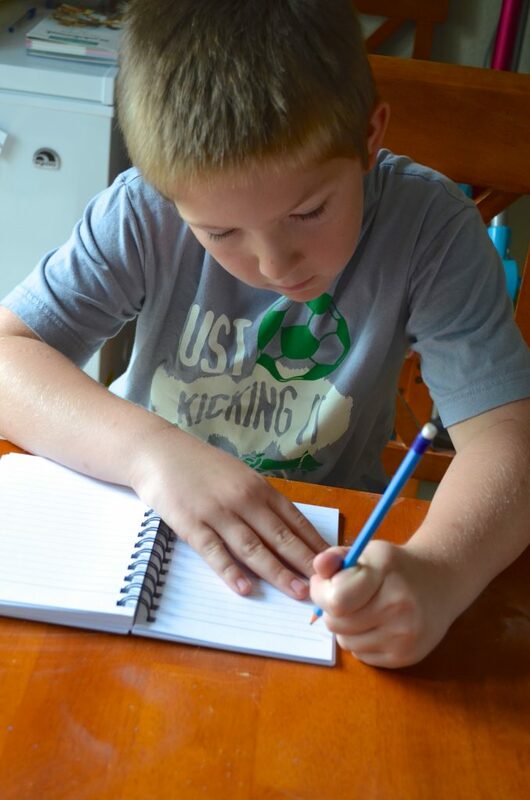 Whether you have a boy or girl that loves or hates writing you can coax them into some handwriting excitement by allowing them to create their own personalized notebook! Glue on a denim pocket, cover it with stickers, or use chalkboard paint like our mini-tutorial below. Encourage them to keep a log of books they read, wish lists for the holidays/birthdays, a record of their dreams, a summer journal, or letters to grandma! 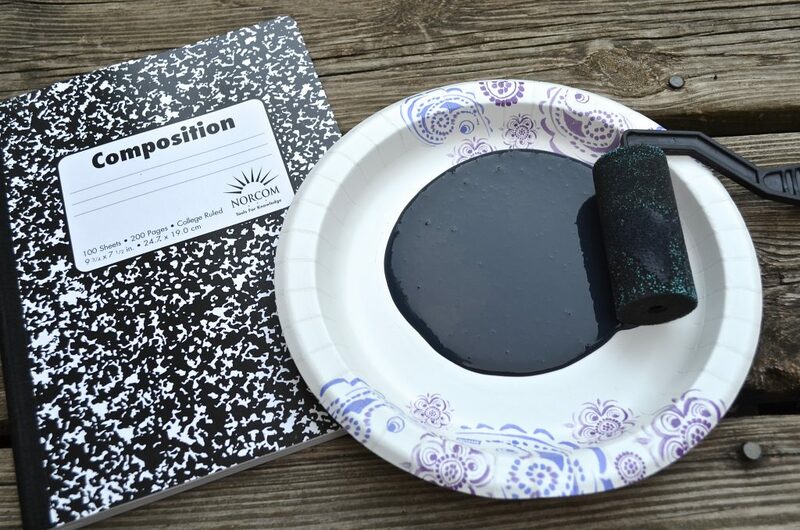 Pour a small amount of chalkboard paint onto a paper plate and use a craft foam roller to apply it to the front of your notebook. You can also choose to paint shapes onto the front if you wish. 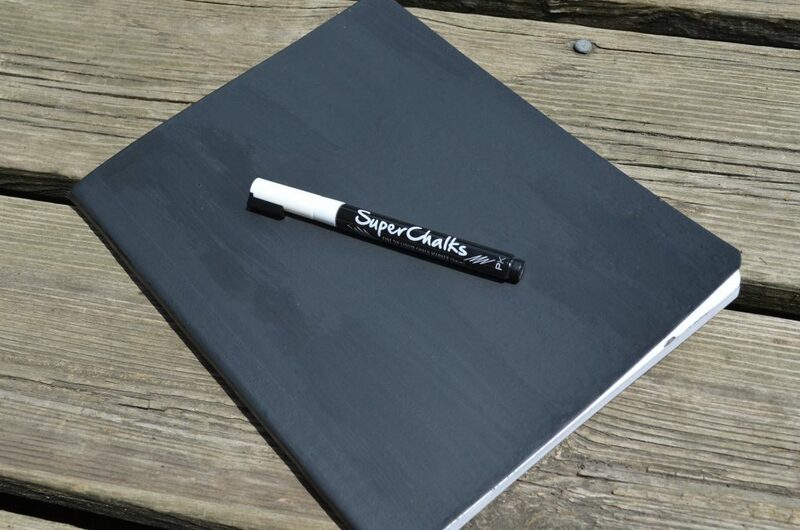 Grab some chalk or a liquid chalk marker and let your kids design the cover! Our class could use any school supplies. So many students come to school with no supplies at all.